Contests research projects to receive grants of the President of Ukraine for support of scientific research young scientists, contests, scientific and technical projects: DFFD and U.S. National Science Foundation, Foundation of the Fundamental Research of Russia, the Belarusian Republican Foundation of the Fundamental Research, bilateral Ukrainian-French projects, joint projects DFFD Ukraine projects DFFD MES «Fundamentals of the latest gene and cell technologies» Thematic trust contests DFFD project «Transboundary Ukrainian-Romanian, Ukrainian, Hungarian, Ukrainian and French basic research», «Studing the Tripoli civilization by the scientific heritage of the archaeologist Vincent Hvoyki», «Non-linear processes and phase transitions in the quantum-field systems, solids and plasmas» etc. Grants for the charities, mini-grants in the Carpathian region «by the small steps – to develop self-communities», mini-grants «Kherson toloka»; contests: «Born in the '89-th», «Freedom of the Press», «Social services and public charities organizations», «From his own ideas to concrete changes», «Support for the cultural, educational and artistic initiatives», «Create a video, completing the phrase «Democracy – is the…?», «Information Technology by the Children's Eyes», aphorisms and photos, and more. Grant competitions in the field of child protection, research grants of the USSR in Washington, a grant competition by the problem of climate change and energy, competition for grant of business partnership, the tender for the monitoring research, a competition of mini-grants by the program «Strengthening the Third Sector in South Ukraine», grant competition «Citizens participation in the decision-making at the local level», grant competition «Representing and protecting the rights of vulnerable groups», mini-grants competition of the Dnipropetrovsk «We develop the community together», a competition of the support international youth projects «Europeans for peace», competition for small grant projects of the Western region of Ukraine, project «Science for Peace and more». Annual grants to encourage the best research work among the students, young scientists and graduate students, teaching activities, course work, personal scholarship, research papers of graduate students, grants for participation at the work of Ukrainian and international scientific conferences, grants for training in the Ukrainian and foreign research organizations, individual and collective grants to implement action research projects. In Ukraine, the implementation of a package of charitable activities to support: secondary school students – winners of international intellectual competitions, university students, gifted children and youth in the arts and culture, sports. In order to identify gifted children and youth board of the Fund analyzes the requests to the Fund and monitors the media. Support for gifted children and youth through awarding grants and scholarships, which establishes the Fund. Ukrainian scholarship program named after Ivan the bullet and support material encourages talented young people in Ukraine. Project of Svyatoslav Vakarchuk «People of the Future» for Ukrainian students, «Education of the country». Ukrainian scholarship program named after Ivan the bullet, which is held for students of national universities. Annual competitions: the second scholarship competition for students of legal professions, the All-Ukrainian Student Championships Strategic Management Design Lab 2008 from Electrolux, the All-Ukrainian contest of student research papers on natural, technical sciences and humanities, the game of marketing MyMarketingGame, Ukrainian student competition for best business plan from Google. International and Ukrainian competitions of youth innovation and development, «Become the creator of the Foundation», «New Age», «Young inventor», «Innovative Intellect of Ukraine», the competition of new technologies, social innovation projects to them. George Voronoi the best non-fiction or nonfiction story of youth and a variety of quizzes on Slovakia and other countries. Fellowships for graduate students and young scientists in training for university graduates, DAAD/OSI, writing research papers for students of German studies, training of artists, and training for graduates in economics. Education for international programs: the European University Viadrina, journalists, summer courses at German universities for foreign students (after first year), group trips for students in Germany «Studienreisen», scientific training for university teachers and researchers, repeated invitations to alumni DAAD. Post-graduate studies in Germany in the following areas: the traditional (individual) training under the guidance of the supervisor of international programs for graduate students DAAD and DFG, the work in the centers of postgraduate DFG and special research departments DFG, training in international research School. Max Planck graduate schools federal lands and the network part of biological and medical graduate programs and more. According to the Status Committee on State Prizes of Ukraine in the field of science and technology is a special body to the President of Ukraine and educated for a preliminary examination of issues concerning nominations for the award annually to 20 State Prizes in Science and Technology, 40 prizes of the President of Ukraine for young scientists, the purpose of 400 monthly stipends and the President of Ukraine 320 – Cabinet of Ministers of Ukraine for young scientists. Competition «Intelligence – Creativity – Success» is to identify talented students, promoting their professional growth, development of manpower pool of young professionals, exchange of scientific ideas, stimulate future research, help employers to get acquainted with future professionals on the stage of their education in high school. The program «Request for employers – universities offer» a monitoring and predictive analysis of changes in the employment market situation of graduates, coordinating through the city's employers' organization issues of supply and demand. The program «Make a career with us», is to provide opportunities to specialists of various professions and disciplines who are interested in long-term employment, to declare itself. Your resume will be reviewed by interested employers in the shortest possible time. «Simplex» offers international exchange programs and student internships in the U.S. program for the students day training «Work and Travel» (W & T); exchange program for those wishing to recoup the cost of the program «CAMP USA»; program for graduates who can not participate in the program «W & T» «For those who have graduated from high school"; exchange program in the U.S. and Europe «AU PAIR»; for the course for participants of «W & T and Au Pair» to study new vocabulary «English Courses»; special program for students and graduates agrouniversitetov «Agrostazhirovka in the United States»; courses in U.S. schools for up to two semesters for high school students' school year in the «United States», a program for college graduates or young people with experience in the specialty «Intern / Trainee»; program of free higher education in the Czech Republic, «Higher Education in the Czech Republic»; program tax refund" return the taxes participants «W & T»; support program winners «Green Card», «All the lottery Green Card»; program obtain international driving license, recognized worldwide, «International Driving Permit», the program of assistance in obtaining a tourist, or guest Visas to the U.S. «Visa». 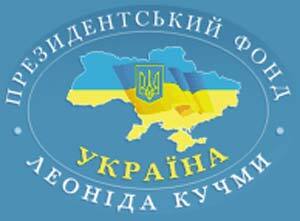 The main tasks of the Coordination Center of the Consortium «The EU – Ukraine» is the collection and dissemination of information on assistance programs at the international level, consultation and support in the implementation and administration of national and international projects to assist in the development of applications for participation in international and national projects, promoting international exchange programs, faculty, researchers and students looking for partners for joint international projects, consulting on the selection of international programs and learning opportunities, internships and studies abroad, information work (organization of presentations, seminars, exhibitions, etc. etc. ), dissemination of results of projects financed within the framework of international programs. World Studios (WorldWideStudies) – an educational project of the Victor Pinchuk Foundation, which offers support to young people of Ukraine to get a master's degree from the best universities in the world in industries that the Fund considers to be priorities for further development. The Eurasian Undergraduate Exchange Program, seminars, coordination, financing and strategic planning of higher education, public campaigns, contests journalism «Civil Evolution», contests of joint Ukrainian-Slovak research and development projects, strategic game «Student republic» projects «Education in Europe – new opportunities», Placement of the Supreme Council and the central bodies of executive power, all-Ukrainian competitions of student marketing plans, training in the Victor Pinchuk Foundation, all-Ukrainian competitions for the best non-fiction or nonfiction story to them. George Voronoi contests essay, «The role of science in building a better world» project competitions in the field of education of Tempus, and more. Scholarships London School of Economics and Political Science for graduate and doctoral scholarships and fellowships at the Institute for Human Sciences at George Mason University, scholarships Greek Foundation. Alexander Onassis, a new stage of educational initiatives Erasmus Mundus scholarships to post-doctoral program AMAROUT Europe, Visegrad Fund Scholarships for Ukrainian students, scholarship opportunities in the framework of the European Commission named Jean Monnet, the program «European Master of Translation», guest-scholarship to attend the EU think-tanks, PhD-scholarships at the University of Copenhagen, the international exhibition «Study Abroad» and many more. Greek scholarship fund named after Alexander Onassis, scholarship at the London School of Economics and Political Science for graduate and doctoral students, workshops for teachers of English at Cambridge, and scholarships for study in Weidenfield Oxford and York scholarship program to them. L. Kirklyanda – training in Poland, grants MAPOW, funds to implement their ideas «Sunday soup», youth camps to the study of foreign languages, meeting teachers from Poland and Ukraine, academic mobility in Ukrainian – «Education country» and «Education in Europe – new opportunities» and much more. Program them. Fulbright – is the oldest and most famous in the world of scientific exchange program of the United States of America. It operates since 1946, now – in 155 countries. It appeared on the ashes of postwar Europe. The young Senator William Fulbright had an opportunity, through research grants, to visit Europe. Reflecting on how to prevent a repetition of such wars, Fulbright decided that only the ability to think about the world as one global unit of humanity can save itself. And this can be achieved when there is the opportunity to know other societies. Fulbright managed to convince the U.S. Congress the expediency of granting public money to a program that would allow U.S. scientists to spend an academic year abroad. Over time, countries that have agreed to participate in the program began to allocate funds for the stay of its scientists in the U.S.
TRN.com.ua – Ukraine's largest catalog of workshops, seminars, conferences and other events, allowing to quickly getting the professional knowledge and skills. Audience of the site – it's HR Director, HR managers, companies and educational centers, i.e., professionals responsible for training and staff development. And also those who seek to improve their own level, attending open specialized training. Coach – it's the leaders of training, recruitment and staffing companies, which organize and conduct training activities. Daily traffic to the site more than 1000 users, viewing 10 000 pages. Base training events has more than 2580 suggestions. There are more than 750 companies and 1570 coaches, providing services of organizing and conducting training activities.